How are you ? We are fine! 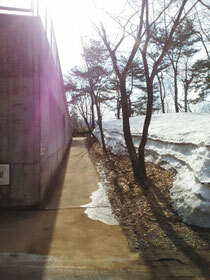 For recent several days,there are snowy quantity decreases around MWC. the splendor of a variety of blooming flowers. But it takes a little more in Tajima especialy around MWC. Please come & see us. We are expecting your visit.